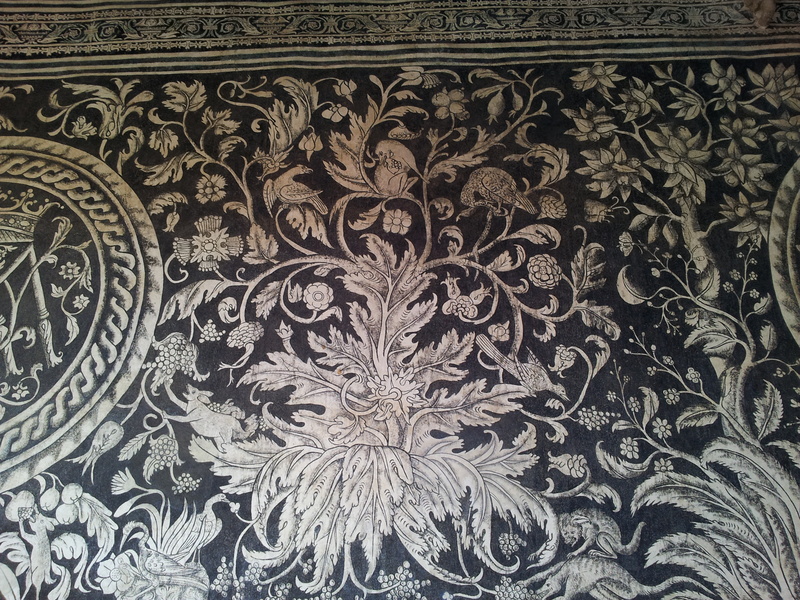 Perhaps passionflowers are located on the retable from São Lourenço in Niterói, but I’d like to see higher resolution images of the flowers to make sure. 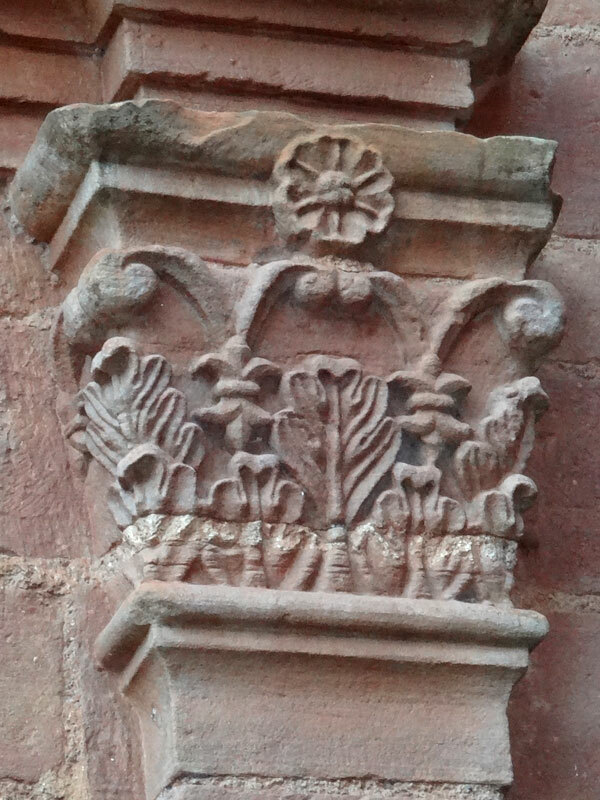 Gauvin Bailey discusses the carving of a passionflower on the Jesuit reduction church of San Iganacio Mini in Argentina. 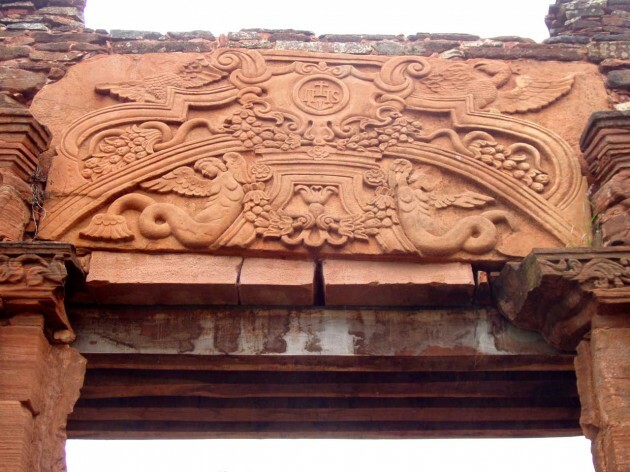 He doesn’t specify where this passionflower is located or its appearance in this particular source, but I wonder if he may be referring to the stylized flowers in the lower corners of the carved doorway panel shown above (the blossoms bell out from the tails of the fantastic winged figures). 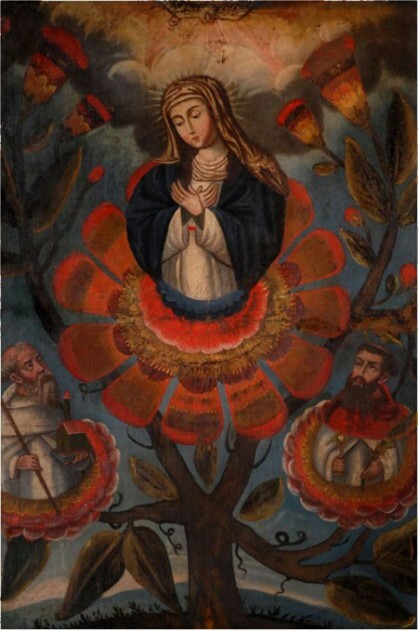 In a fascinating argument, Camila Mardones Bravo argues that this representation of Our Lady of Mercy (Virgen de la Merced) is depicted as emerging from a hybrid flower that contains characteristics of two separate flowers: the rose and the passionflower. 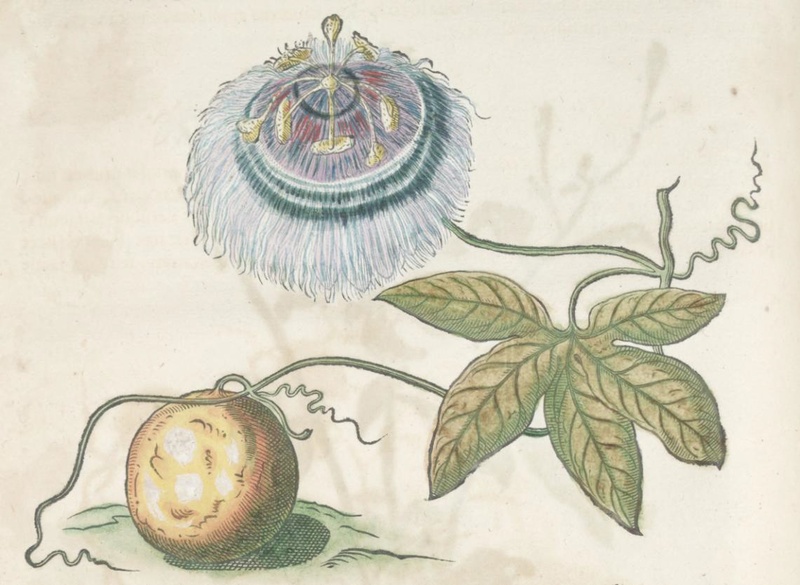 In other visual contexts though, apart from these scientific representations, I think that Eckhout may have been including the passionflower as an allusion to sin and suffering. The passionflower also appears in his ethnographic portraits of a Tapuya and mameluke woman, with the flower prominently appearing in the basket held by the mameluke and on the tree to the left of the Tapuya woman. 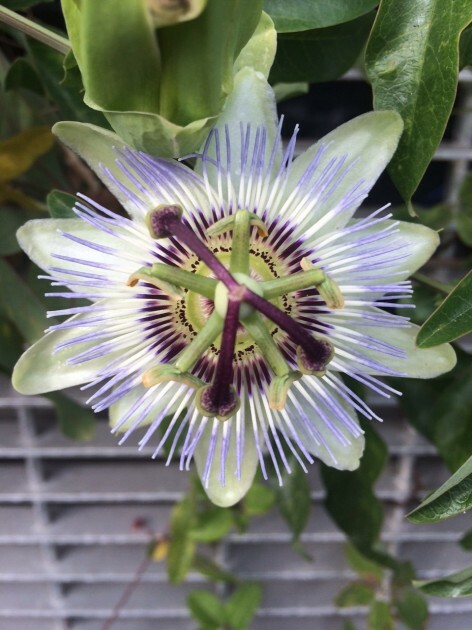 On a side note, I wanted to mention that the passionflower continued to be important in Brazilian culture after the colonial era. In 1938 the poet Alfonso de Guimaraens, a Mineiro, wrote the poem “A Passiflora” which compares a devout person’s soul to a passionflower. 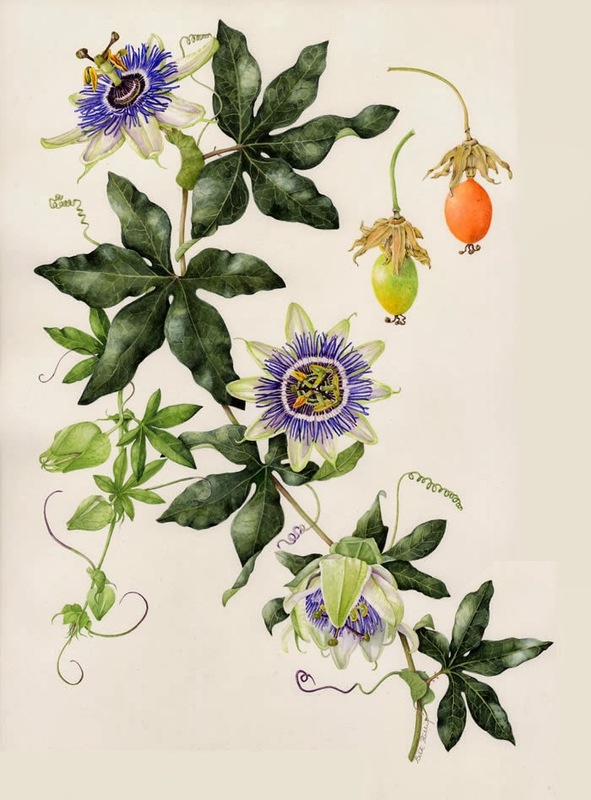 Are you familiar with any representations of the passionflower in Latin American art? If you know of any more, please share! This post is really more of a “post-it” than a post; I feel like there is much more research that can be done on this topic! 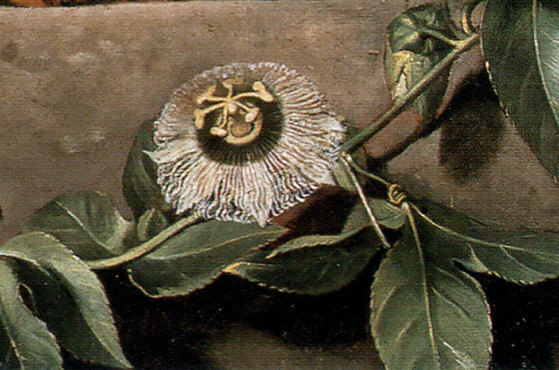 1 The symbolic connections between the passionflower and the Passion of Christ are discussed by several authors from the colonial Baroque period, including Juan Eusibio Nieremberg. See Evonne Levy and Kenneth Mills, eds., Lexikon of the Hispanic Baroque: Transatlantic Exchange and Tranformation (Austin, Texas: University of Texas Press, 2014), p. 299. Available online HERE. 2 Jeanette Favrot Peterson, The Paradise Garden Murals of Malinalco: Utopia and Empire of Sixteenth-Century Mexico (Austin: University of Texas Press, 2014), 87-89. Available online HERE. 3 Amy Buono, “Interpretative Ingredients: Formulating Art and Natural History in Early Modern Brazil,” in Journal of Art Historiography 11 (December 2014): 1. 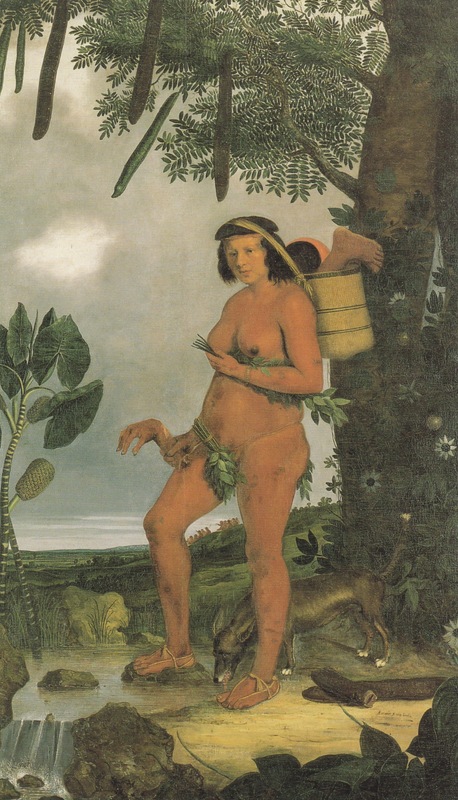 4Rebecca Parker Brienen, Visions of Savage Paradise: Albert Eckhout, Dutch Painter in Colonial Brazil (Amsterdam: Amsterdam University Press, 2006), 120-127, 162-168. 5 About fifteen years after Eckhout painted these works of art, Antonio de León Pinelo wrote a book El paraíso en el Nuevo Mundo (1656) in which he claimed the passionfruit must have been the forbidden fruit in the Garden of Eden. He writes, “For what greater proof that this was the fruit of sin, and that caused the punishment, which found in His flower the most precious signs of forgiveness?”) “¿Pues qué mayor prueba de que esta fruta fue la del pecado, y la que ocasionó el castigo, que hallarse en su Flor las más presisas señales del perdón?” (citation found HERE). 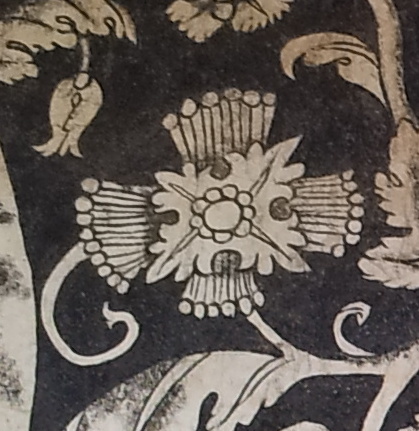 I wonder if there were other connotations that carried over to Europe before Pinelo’s writing, and perhaps if any other symbolic associations with this flower (both associated with sin and forgiveness) could be applied to Eckhout’s work.